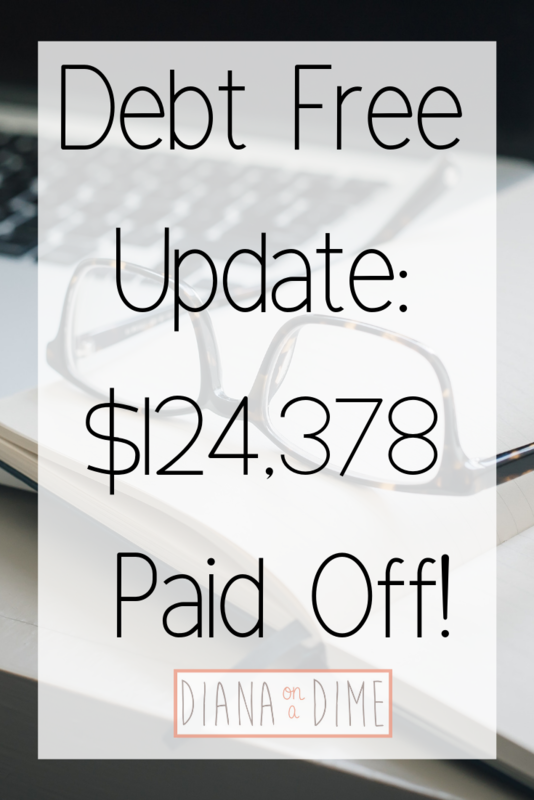 Debt Free Update: $124,378 Paid Off! This post may contain affiliate links. Check out my Disclosure Policy for more information. I feel crazy typing this, but now that I’ve been on this journey for roughly 3 and a half years, I feel so close to being debt free, even though I have $76,718 left. Maybe that isn’t crazy, but I know I’m no where close to being done, it just seems so much more manageable. I remember when I hit my financial breaking point and absolutely freaking out about just affording my minimum payment on my teaching salary. Now I’m at the point where it’s no longer a stress in my life. Of course, I still have about $1,100 as a minimum payment every month, but that’s a lot less than the $2,000 it was when I started. My monthly minimum payment would be $1,000 now, if I didn’t refinance. Yes, I took about a $100 increase in minimum payment, sounds crazy right? But, this allowed me to get an interest rate of 4.97% instead of 7.05%, totally worth it in the long run. Refinancing isn’t for anyone, but for me and my student loans, it was something I had been working to do for years. I am so happy to have a lower interest rate because so much more of my payment goes to the principal now. If you are considering refinancing your student loans, check out my post that outlines some questions to ask yourself before doing it! I hate all of my student loans, but especially my private loans. I especially hated them when I had my old provider. I will say, I don’t hate them as much since I refinanced them with Earnest back in September 2018. They are awesome to deal with, listen to feedback and actually make the changes, and I am finally seeing actually movement in my pay off of them. In September 2018, I refinanced $45k of my student loans, which was all of my private student loans. Now, I have $23,981 in private loans, I’ve paid off $21k in 7 months, just in my private student loans! This never would have been possible, if I didn’t refinance my loans, because I was paying so much in interest every month. If you are considering refinancing your student loans, you can use my referral link to get you $200 when you refinance! Things are very up in the air for the second half of the year for me, my plan is to pay my private loans off by the end of the year. This goal will change depending on how things pan out after June. My federal loans are still on income driven repayment. I just renewed it and my payment is going up $50 to $300. This is actually a good thing because my loans accrue about that much in interest every month. While focusing on my private loans, I have been paying the minimums on my federal loans, but making an extra payment every month to make sure the interest is paid off every month. The reason I do this is because I don’t want the unpaid interest to be added to the principal, making the loan increase. This will require me to pay even more in interest and even more in the long run. This is why it is so important to understand these programs and stop making blind student loan payments. Your payment may be as small as $0 every month, which means your principal is going to increase on your loans. So, yes your loan is in good standing, but you are increasing your principal every single month! My loan amount doesn’t really change much on my federal loans for now, I’m basically just paying off my interest every month. Right now my federal loans are $52,736. These are broken down in many smaller loans. Once I pay off my private loan, I plan to pay off my federal loans by avalanching the smaller loans based on their interest rate. I have been going very hard at my goal to pay off this debt as fast as possible. I’ve increased my income, moved back home with my parents, and cut my spending down. Currently, my debt free date is May 2021, which is incredible! It’s amazing what consistent choices over and over can do. I’m not sure where my debt free journey will go by the end of the year. I have plans to move out, maybe get a new job, I’m okay to slow down my journey a bit to move out of my parents house. I have paid off so much debt, way more than I ever thought would be possible at 26 years old, that I’m okay with it all. Right now, if I continue with my current plan, I will have just turned 29 when becoming debt free. My goal has always been to have my student loans paid off by my 30th birthday. Right now, I have a nice buffer of time on my side and I feel really good about where I am at with my finances. How is your debt free journey going? Every since I wrote my post about blind student loan payments, I have been getting a ton of questions about student loans. It is crazy to me that student loan providers are allowed to do the things that they do. It’s absolutely terrible, which is why I think student loans are probably one of the worst debts. There are so many things people don’t know about student loans, but they let 18 year olds sign their lives away to them. It’s insane! And I was one of them that unknowingly did it! But, I want that to change, I want every person that gets a student loan to know the reality of them. They can be a tool to use to better your future, but they need to be taken out with education about what these debts really are. Student loans are unlike any other kind of loan, which can ruin people’s financial future. 1. Minimum payments on student loans don’t need to cover all of the interest. This is what separates student loans from most other loans. Most loans, you are at least covering the interest that accrues throughout the month. Student loans are completely different. You can be making your minimum payment, but not paying off your interest every month. This will cause your loan to grow and grow and you will never pay it off. This is why you need to stop making blind student loan payments and check to see if you are paying off at least your interest every month. If you aren’t, you need to make a change in order to ever pay off your student loans. 2. Your student loan interest deduction on your taxes is making you lose money. 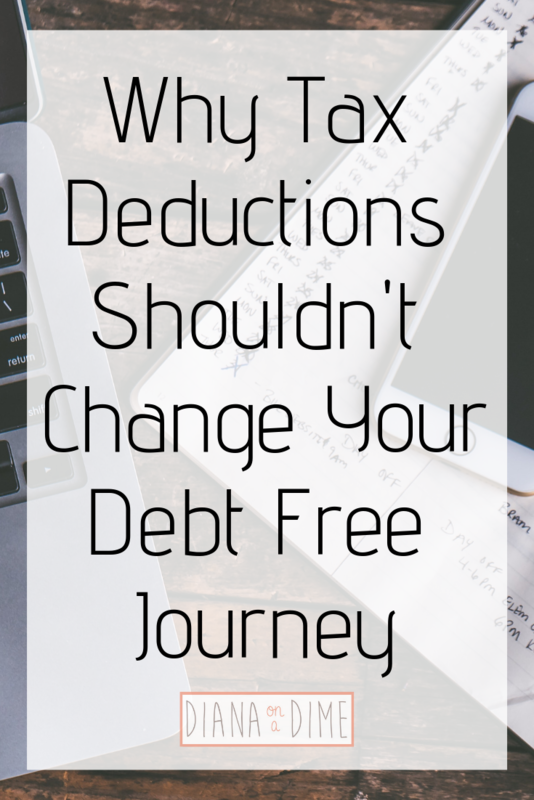 We all get wrapped up in tax deductions and sometimes it does financially make sense to make certain money moves that allow you another deduction. But, being able to deduct your student loan interest every year is not helping your financial picture. I have heard so many people tell me they aren’t rushing to pay their student loans off because they get a tax deduction. You get to claim $2,500 every year, but add up how much you lose every single month to your student loans. Think about how much you’d be saving in a year if you just paid them off. I know for myself, I’d be saving about $40k, way more than the $2,500 I get to deduct. 3. Your family will still be responsible for your student loans if something happens to you. There are some programs in place for federal loans and some private loans as well, but most student loans are not forgiven in the event that the borrower passes. The crazy part about this is that with most other debt, there is a tangible item attached to the debt. For example, if you have a car loan, your family can sell the car to help with the debt associated with it, similar to a house and a mortgage. With student loans, your education will not help pay for that cost if you pass. This is important to keep in mind, especially if your parents or other family member cosigned your student loans. 4. Your wages can be garnished, if you’re delinquent on your student loans. This is a vicious cycle. You can’t afford your monthly payment on your student loans, your wages are then garnished. If a recent graduate has an entry level job and can’t afford their monthly payment, it will be hard to get ahead when their wages are garnished. This is super important to keep in mind if you’re struggling to make your payments each month. If you are delinquent, they can also garnish any social security benefits, disability benefits, or federal refund checks. 5. In some states, you can lose your driver’s license for not paying your student loans. This is different in every state, but it’s something to keep in mind. This is yet another vicious cycle. If you lose your driver’s license, it then may be hard for you to get to work, if you live in an area that doesn’t have public transport. 6. In some states, you can have your professional license suspended for not paying your student loans. This would prevent you from working in the field that you took the student loan out for. Which would prevent you from making a payment on your student loans potentially. This would prevent you from turning things around and getting back on track to paying your student loans. 7. You can be sued for not paying your student loans. In the event that you are not paying your student loans, you can be sued by the company. This happens much more frequently with private student loans because they don’t have programs in place to help borrowers afford their monthly payment. However, they also don’t have programs that can grow your student loans, like I mentioned in number 1. I encourage all of you to get educated about your student loans. 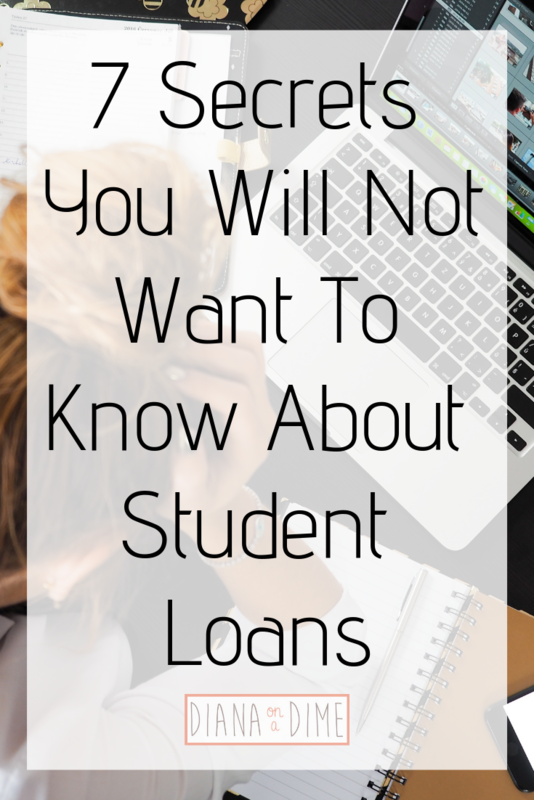 Ask questions, do research, know what your student loans mean. If you haven’t taken any out yet, but are thinking about it, understand the reality of them and consider alternate plans. If you’re struggling to make your payments, get on a budget and get on a better financial path, so you don’t have to deal with any of what I mentioned above. How have you helped yourself to learn more about student loans? This time of year everyone is figuring out their taxes, filing their tax returns, making sure they get all of their tax deductions, and waiting on their tax refunds. It comes with this time of year. There is a huge personal preference to get a large refund or a small refund. I outlined why I plan to make myself get a smaller refund, but I understand why some people like a larger refund. Currently, I get a larger refund because when I originally did my paperwork at work, I had no idea what I was doing. If I’m being totally honest, I’ve just been too lazy to change it! I plan to change it when I get a new job though. A lot of times people get wrapped up in the tax deductions and it can be overwhelming. Lately I’ve been getting asked a lot about my debt free journey, especially by friends and family. Most of the comments I’m getting are surrounding my student loan tax deduction and not getting it when I pay off my student loans. I try really hard not to eye roll at this, but it can be very difficult. Yes, I’ll lose my tax deduction when they are paid off, but I’ll get to keep all of that money. My friend shared this article with me that does a wonderful job explaining the math behind this, if you’re into that kinda thing like me! Okay, that’s being a bit dramatic. But, it isn’t exactly wrong. Yes, tax deductions are nice, but they shouldn’t dictate how you manage your finances. You should never do something solely because you’ll get a tax deduction for it, or it will lower your taxable income. If your money move that you are making adds something else to your financial picture, then absolutely go for it! But, I wouldn’t make a move solely because you get a tax deduction. For example, I’ve literally heard people say they don’t want a higher income because it will push them into a higher tax bracket. That’s insane!!!! Taxes and tax deductions should not dictate your money moves, keep them in mind, but don’t let it sway you this much. Let’s go back to my student loan interest tax deduction and losing that tax deduction once I’m debt free. The tax deduction would lower my taxable income by $2,500, but I’ll then be able to pocket and invest the $40k a year I’m currently paying towards my loans. Even if I just put it in a high yield savings account, that money would give me a nice return each year. What you should do instead. Pay off those pesky student loans! Put that money back into your budget because student loans are evil! I outlined why they are and how blind student loan payments will cause you to pay so much more on them, here. I encourage you to sit down, track your expenses, get that zero based budget going. Send all of your extra money to debt, after you have your emergency fund, and get those things out of your life for good! If you need help with this, comment below, I love helping people get their budget set up and be sure to get my Google sheets template to help you get started with your own budget. Don’t fall into the tax deduction trap. It can be easy to listen to others when they are talking about finances. Don’t be afraid to be a little weird! If I listened to the vast majority of people, I’d still be drowning in $201k of student loans, instead of only $85k (HA!). But in all seriousness, the long term benefit of not having student loans definitely outweighs the small tax deduction I’d get every year, or not if my income increases. So, let’s get moving on freeing ourselves of student loans! I’d love to hear your experiences, have people told you not to pay off your student loans for the tax deduction? When you’re paying off debt it can be difficult to slow down the process. I know for myself, I am so focused on paying off my debt that I sometimes need to be brought back to reality. It’s important to remember that a debt free journey is part of a bigger plan. For myself, my bigger plan is to be able to live a life I love without having to think about money. But that also means that sometimes I need to not focus so heavily on my debt free journey and think about the reality of life. When you’re so focused on paying off your debt and the life you will live after your debt is gone, this can be difficult. Sometimes, it’s important to slow down or stop extra debt payments all together. It depends on your life and what your goals are, but sometimes it needs to happen for what makes sense in the long term. 1. Unexpected life events would require you stopping extra debt payments. This can be a long list and really depends on what your income is. But, any unexpected events, like job loss, or medical issues, could mean slowing down or stopping extra debt payments all together. If you’re single, this would definitely require you to stop making extra debt payments. But, if you have another income to rely on, it’s possible that this wouldn’t be the case. My suggestion for any unexpected life events, is to stop extra debt payments and hoard any extra money. The reason this is important is because there is so much unknown in these events, for example, the recent government shutdown. Anyone who experienced the shutdown knows that the end is unknown. This means that you don’t know when you will be paid. This is why it is important to stack any money you have coming in, even if you have a bit extra at any given time to throw at debt. That extra money will be there once you get through this unexpected event. Once things have settled down, then you can assess your finances and make an extra debt payment. 2. Any unknowns in the future could slow down your debt payments. If you’re unsure about things in the future, you may want to consider slowing down or stopping your debt payments. This could be something like your job security being unknown, you may want to stop making payments or at least slow down. This could also be something that you’re planning to do. For example, I am right now unsure of where I’ll be working and am planning to move this year. So, I am not stopping my extra debt payments, but I am slowing it down to put more money into my emergency fund to plan for it. This way I will have extra money to cover the unknowns of the second half of this year. Once things get settled for me, I can assess my finances and make an extra debt payment. It is more important to plan for these unknowns when you know they are coming, then to simply hope things go according to plan. Hopefully the money you save up won’t be needed, but in the event that it is needed, it will be nice to have. 3. Needing to cash flow necessary expenses. Life happens and sometimes you need to purchase things that wasn’t planned for, think car or house problems. It is better to slow down or stop debt payments to cash flow the purchase, then to go into more debt to purchase something. It’s pretty counter productive to being sending extra money to debt, but going into debt at the same time. One way to avoid this is to cash flow the expense, meaning you send all extra money until you have the cash saved up for the purchase. If it is an expense that won’t be needed for a while, you can also start a sinking fund for it. Everyone is different and decides what is considered a necessary expense, but it’s important not to go into debt for these things, if it can be avoided. Everyone wants to get out of debt quickly, but life happens and sometimes our plans don’t work out. It’s important to remember what you have planned for the long term, then to make extra debt payments. Sometimes, it makes much more sense to slow down or stop extra debt payments to get through a specific situation life has thrown at you. Just remind yourself of your long term goals in these situations. 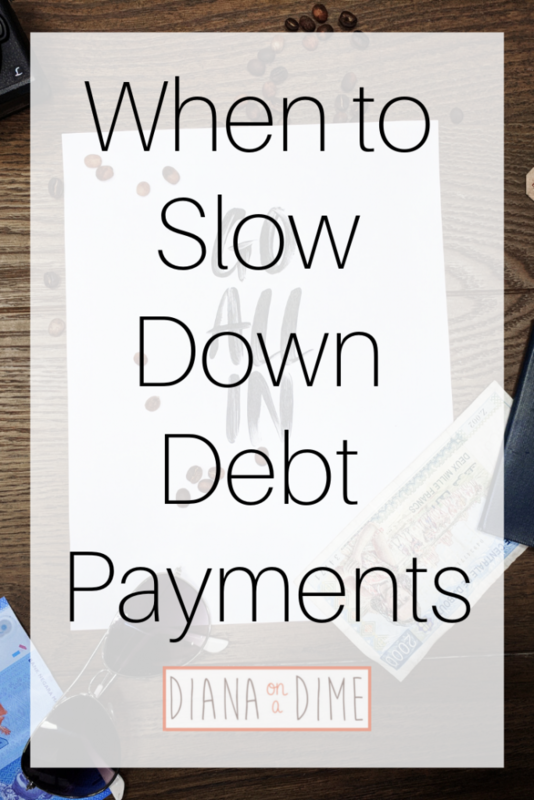 Have you had to stop or slow down extra debt payments? I may be the only one that feels this way, but 2018 flew by. I feel like I was just ringing in 2018 and here we are in 2019 already. Where did the time go?? 2018 was a crazy year with lots of changes in my finances. I went into the year with intense focus to pay off my debt as fast as possible. I made huge sacrifices and worked lots of side jobs to try to get my debt free date to be closer and closer. That was my plan for 2019, until June when my car once again had issues that needed to be fixed. I switched gears and started cash flowing for a new to me car because my car had so many issues in warranty that I was nervous to keep it out of warranty. All of those costs would have fallen on me once it was out of warranty. So, I spent a few months cash flowing to that fund and paid minimums on my debt. Then I realized that instead of getting a new to me car, I would just keep this as a car sinking fund and keep my car for as long as I could. This has so far worked out really well for me. I have a large sinking fund that I have already used a few times to fix my car. I ended the year back in hyper focus to pay off my debt. In November, I hit my 3 year date of being on my debt free journey and managed to pay off $105k on my teaching salary. I added side jobs and have been working diligently to increase my income to pay off my debt as fast as possible. My debt holds me back from so much and I can’t wait until it no longer prevents me from doing things. I also finally wrote my ebook in 2018 that outlines how to master your finances as a twenty something, I share all my tips and tricks in it! If you’ve been following my journey, then you know that I have had the same salary from my teaching job since 2016. It’s hard to be on a debt free journey and not have your main source of income even come close to matching the rate of inflation. Fortunately, I didn’t let this stop me. I decided to work a before and after school program to supplement my income. Yes, this takes away from my own time and extends my school day, but it’s worth it when it’s adding a significant amount to my income. This does take away time from my side hustles and free time, but I know that this is all temporary. Also, I have been slowly decluttering my space and selling the things that are worth it. It’s not much, but it has added up to about $300 total. Of course, I continue to work my side jobs of tutoring and babysitting, I really committed to babysitting this year and it has definitely paid off. One of the biggest moves I made was refinancing my high interest private student loans from 7% to 4.97%. My monthly minimum payment increased, but the amount I will pay in interest decreased. If you’re considering refinancing, check out my post that outlines how you can make the decision if it’s right for you! 2019 is going to be such an exciting year for me, I can’t wait to see where it takes me. I am planning to do everything I can to lower my expenses and increase my income until June. I’ll do this by following a strict budget, you can find the template I use here. My goal is to get as close to paying off my private loans as I can before July. The reality is that I won’t be able to completely pay off this loan before July, the numbers just don’t add up. But, I want to get as close as possible because I am planning to move out in July and my private loans carry a hefty $865/month minimum payment. If I can get this out of my budget, it will make it much more affordable to move out. Also, I am planning to find a new job in June and I can’t wait to see where that takes me. I’m so excited to start something new and see what I can do in a new role. This also means that I have so many things in my budget that are totally up in the air once July hits. Normally, this would totally freak me out, but I’m so excited for it! The first 6 months of 2019 will be all about sticking to a very tight budget and sending all extra money to my debt. I plan to find more ways to increase my income, declutter my space to prepare to move out, and enjoy every minute of this year making memories with loved ones. What do you plan to accomplish in 2019? Student loans are something that most people have to deal with directly, or know someone close to them that is dealing with them. Without a solid plan, student loans can seem daunting and overwhelming. I know I felt like I was drowning when I faced my $200k in student loans. But, with a solid plan I managed to pay off $105k in 3 years. Luckily there are so much tools out there now that is encouraging student loan plans that allow you to get out of debt faster. One of those tools that I have recently found is Round Up To Zero, which allows you to round up your purchases to the nearest dollar and then make a student loan payment with the money. The company is pretty awesome and is made up of people that have dealt with student loans. 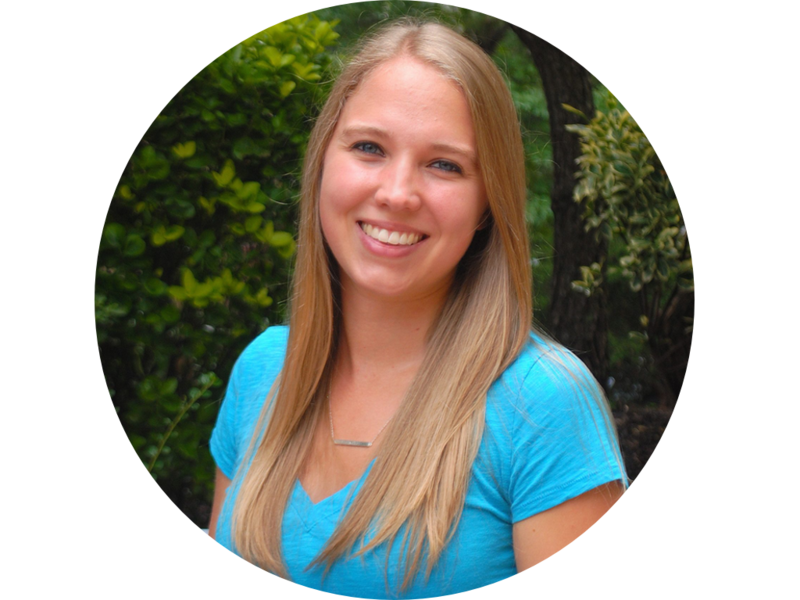 They created this platform because they wanted to do something to help other people get out of student loan debt. After you create your account, you’ll connect your bank accounts and student loan accounts to the platform. Basically how it works is that they will round up all of your purchases to the next dollar. That money will get added to your account and eventually be transferred to your student loan. The platform allows you to play around to see how much extra payments will impact your pay off date and interest paid. What is really cool and unique about this platform is that they let you connect other people to your account. This allows you to pay off your loan faster. Basically what happens is that your purchases and their purchases will get rounded up. The more people you add, the more money will get rounded up and applied to your student loans. There is a fee that comes with using this service. Right now, they are charging 0.99/month to use the platform. Also, there is a transaction fee of 4.97% of the transaction. These fees cover the banking fees that the company gets charged for completing these transactions for you. Round Up To Zero hopes to make this service free eventually. You’re able to set limits on how much extra is applied to your debt each month, if you want. For example, if you’re someone that has a zero based budget, you can set the limit you want to go to your debt. Personally, I think the platform is really well designed and easy to use. The people behind the platform are incredible and have the desire to help people get out of student loan debt. I will support most companies that are trying to help people get out of student loan debt, since I am dealing with them myself. With that being said, I’m not the biggest fan of charging the fees, but I do understand why they are there. Round Up To Zero would have to foot all the transaction charges that they get without having the fees. That just isn’t realistic. I do appreciate that their ultimate goal is to make the platform free to use eventually. Round Up To Zero is perfect for someone that wants to effortlessly pay extra on their debt. If you are just starting to think about applying extra to your debt, this may be a platform to look into. This platform would be great for someone that is overwhelmed by their debt, and can afford to pay a little extra each month. It also would be great for people that have family or friends that want to help you pay off your debt. I wouldn’t recommend this for someone that is already budgeting strictly and is putting extra money to their debt. If you are doing what the platform provides already, there is no reason to use this service. Some options for you would be to utilize undebt.it to plan your payoff strategy, or consider refinancing your loans to get a better rate. 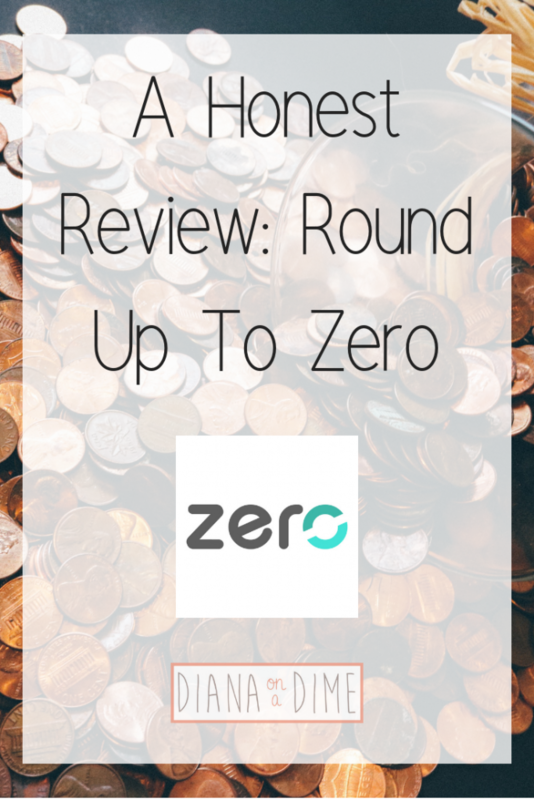 Overall, I think Round Up To Zero is a great platform for a specific group of people. I love the company’s goal of helping people get out of student loan debt and I think they have created a platform to do this. How do you plan to pay off your student loans? 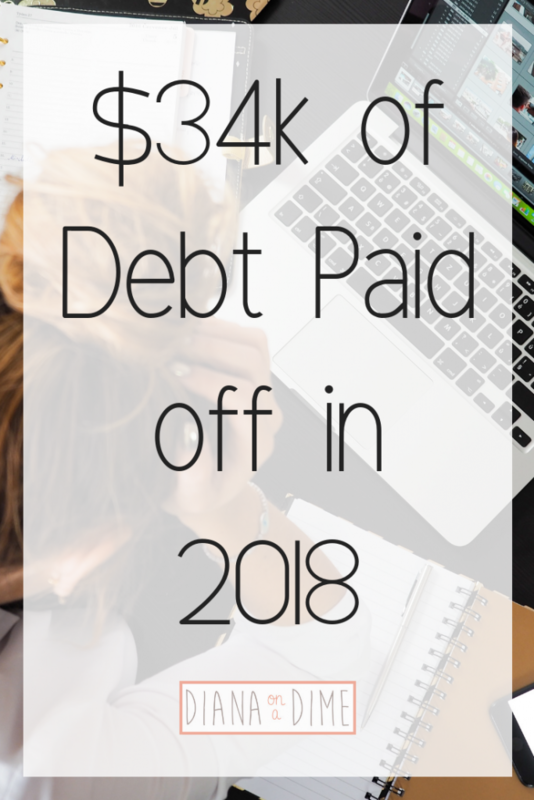 When you search the internet for debt pay off motivation, it can be a wonderful motivator or it can quickly turn into wasted time filled with, “I’ll never be able to do that.” This was definitely me when I first started my debt free journey in 2015 with $201k in student loan debt and living on a teacher’s salary. At first, I had plans to get my first apartment after college and find a teaching job in the area. That dream was quickly shut down when I had the harsh reality that my teaching income wouldn’t be able to support my $2,000/month minimum student loan payment and living. I figured I’d never pay that off early and just make that payment for the rest of my life basically. That’s when I started getting really angry about my debt and realized that I’d never be able to do anything with that large of a monthly payment. I knew I needed to create some sort of plan to get out of debt and I’m sharing with you my exact steps that I took when it seemed impossible to pay off my debt on my low income. Step #1: Create a budget. This is crucial if you haven’t done this already. When I made my budget, I realized that my low income couldn’t support my loan payments and the cost of living in New Jersey. If I hadn’t done this, I most likely would have moved into an apartment, I couldn’t afford, because that’s what the plan was. Go to college, get a teaching job and get my first apartment. By creating my budget, I quickly realized my expenses would be way more than my teaching income. This made me tweak my entire plan and led me to complete step #2. You can get my budgeting template here! Step #2: Cut your expenses. Once you have your budget, you need to cut any expenses that you can quickly and easily. I recommend doing anything that won’t change your lifestyle first. The reason I say this is because you want to create new habits and if you try to cut everything at once, you’re going to hate this process. Once you have cut the easy expenses, start trimming down what’s left slowly. Cut your grocery budget a little bit at a time and see how low you can go. Little changes you make slowly will add up. The quickest and sometimes easiest way to cut expenses is to find ways to cut down your spending in necessary categories. For example, rent in New Jersey is outrageous, so I moved back home with my parents. This was a quick way to cut a large expense from my budget. Yes, as a 20-something I’d love to be living in my own place, but that just wasn’t an option for me when I had so much student loan debt and a low income. Especially since I was a 10 month employee, so I’d have no income from my teaching job in the summer months. This obviously isn’t an option for everyone, but my point is to find ways to cut those expenses that you need to make. Maybe get a roommate, downsize, or move to an area with a lower cost of living. These kinds of cuts will make major impact on your budget each month. Step #3: Create a debt payoff plan. There are plenty of ways to create a debt payoff plan, you can use a spreadsheet and create it yourself, or you can use a website, like undebt.it to create a plan for you. I personally used undebt.it because it does the work for me and I’m all about saving time. This website allows you to input all of your debt information and has you input any additional payments you can make. This allows you to see how much an extra payment can impact your debt pay off date and interest saved. You need to decide what pay off plan you’re going to go with. The 2 most popular are the debt snowball and debt avalanche, but there is also one other one that I am currently using. The important part of any plan is that you are focusing on one account at a time while paying minimums on the other. If you have a lower income, I suggest you use the plan that I am currently using to free up money faster. This step is what really motivated me to get serious about my debt pay off. When I saw how much time and money I was wasting to interest, if I didn’t make extra payments, I knew I needed to get this gone ASAP. This motivated me to keep cutting my expenses and to do step #4. Step #4: Add side job(s) and earn cash back on required expenses. When you have a lower income from your day job, it can feel like you’ll never pay off your debt. There just isn’t enough money left over at the end of the month, even when you cut your expenses as low as you can. By adding a side job or jobs, you can increase your income and allow that entire income to go straight to your debt. Side jobs have been a major help in me being able to pay off $105k in 3 years on my teacher salary. My salary from teaching hasn’t increased since 2016, but my side job income can increase easily if I choose to work more. Depending on how much I have going on with school, I work more or less. I also use different apps for cash back on my groceries and toiletries. My favorite is Ibotta, this app allows you to take a picture of your receipt and earn cash back on the purchases that qualify. Using my link gets you $10 when you scan your first receipt! I was shocked by how much stuff I had sitting around my house that I wasn’t using. I’ve held garage sales, sold on Poshmark, sold my textbooks on SellBackYourBook, and dabbled with Facebook Marketplace. All the money made can go to your debt payoff and it feels great to get rid of things you aren’t using anymore. Remember: As long as you aren’t adding any new debt, you’re still moving forward. Debt payoff is hard, there is no doubt about that. When you are inching forward slowly, it can seem like you’re never going to get out of debt. As long as you don’t add new debt, you are still moving forward though. That’s what is important to remember, if you aren’t adding any new debt, it is still moving forward. I put together all of my tips and tricks to mastering your finances as a twenty something into an ebook! 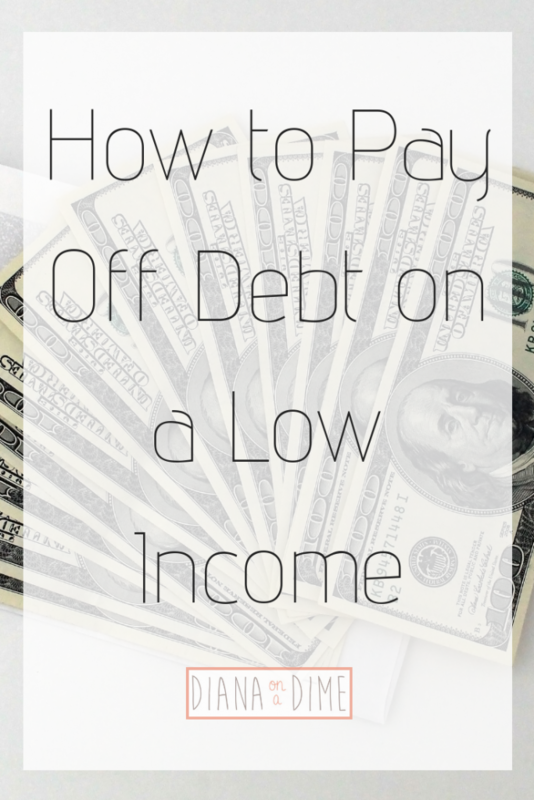 How have you paid off debt on a low income? 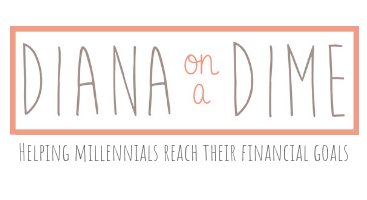 I'm Diana, a 20-something teacher with a passion to help millenials reach their financial goals by saving money, making money, paying off debt, and building wealth.